Our try-dive sessions are a great way to experience the exhilaration of Scuba diving in a controlled and safe environment. 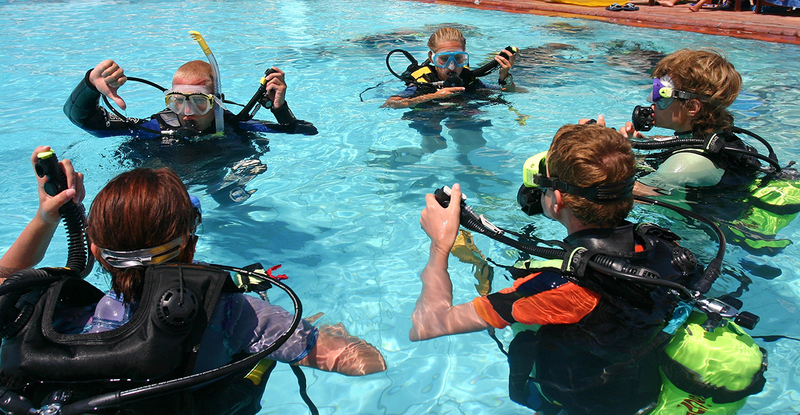 A try dive with Eastwood Divers is an exciting introduction to scuba diving within the safe environment of a swimming pool. One of our fully qualified instructors will deliver a safety briefing covering the basic principles of diving, along with a run-down of the equipment you will be using. Following this will be a short taster session in the pool with an instructor on a 1:1 basis. After the try-dive is complete, you will be issued with a certificate and the instructor will be on hand to answer any questions you have about diving and how to go about becoming a scuba diver. There's a small charge for the try-dive but you get that back if you join the club! If you're interested in signing up for a try-dive or for more information, please send us a message.